For the rare few who do not love chocolate, here is a more than fair alternative. This muffin is absolutely divine. 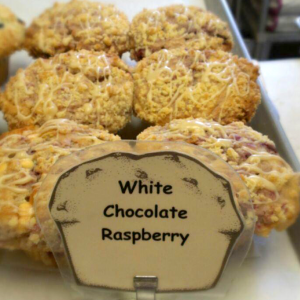 The white chocolate drizzled like sweet rain on top of these luscious raspberry delicacies providing a sweetly off-set, grounded deliciousness of the earth kind of flavor. Goes great with yogurt and coffee.